Gorgeous furnished home, beautifully appointed and completely updated in the Mallards Landing village of award winning Fiddler's Creek. Awesome outdoor lanai living space with private pool & spa, electric Armor Screen hurricane shutters (rated up to 195 mph), permanent gas line to grill so you never run out in the midst of a sunset cookout! Two baths, two bedrooms with den/possible 3rd bedroom. Granite in both baths and kitchen, SS appliances, open great room floor plan for easy living and entertaining. A/C, tank-less water heater, and appliances new three years ago. New roof, washer, dryer pool pump and spa blower in 2018. 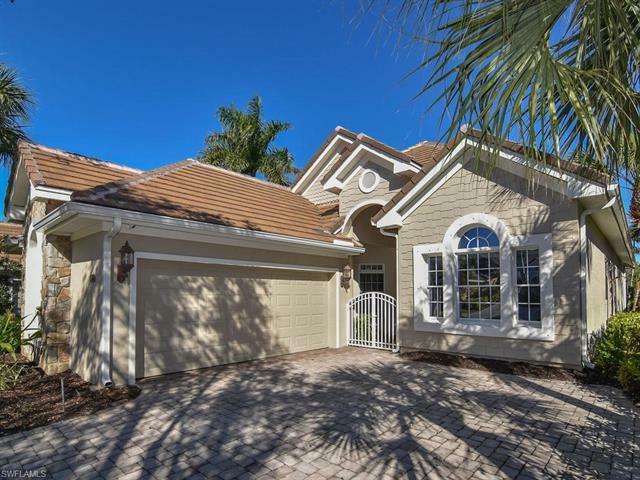 Fiddler's Creek is a world class golf, tennis, and pickle ball community just minutes to beaches, Marco Island and downtown Olde Naples. CDD is paid in full.